Note: There is in fact only one utility cabinet with either side dedicated to one Dubliner. According to the artist A tribute to a founding member of The Dubliners, two of the best musicians to come out of Dublin. 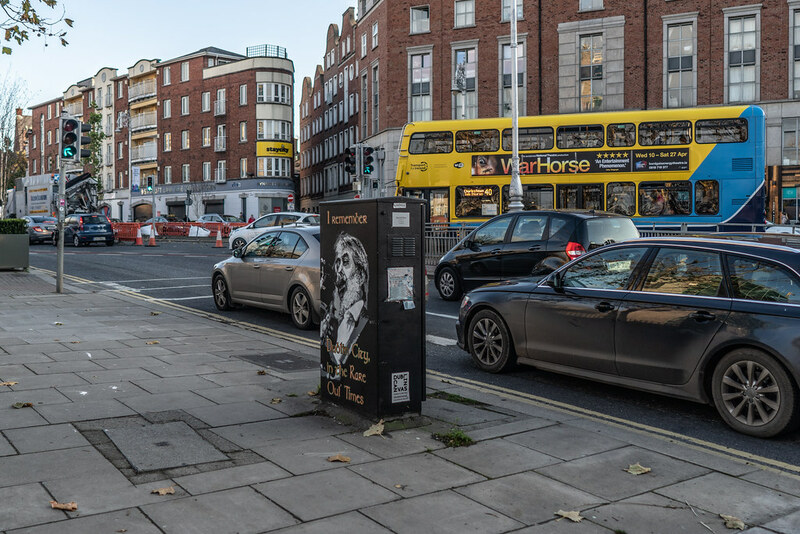 The first one is of Luke Kelly, it would have been great to get a box at Sheriff Street for this as that is where he grew up. The second is of Ronnie Drew, a member of the Dubliners for 50 years. 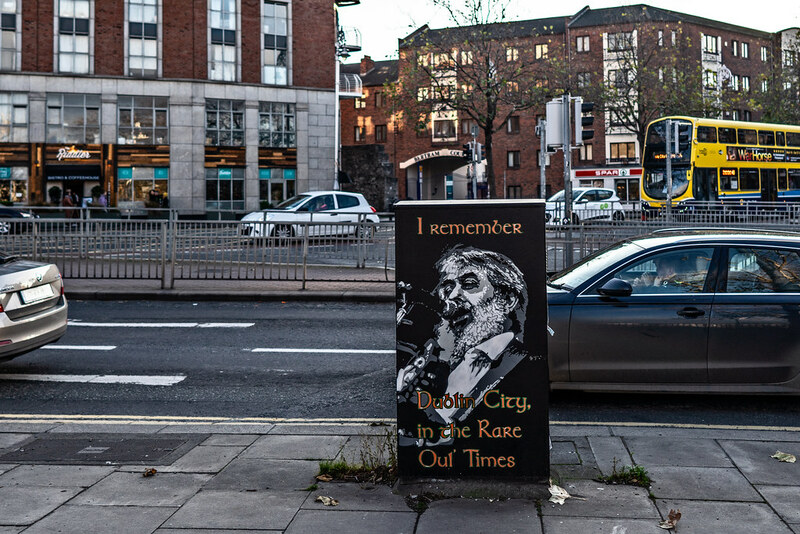 Each box has a line from the song Rare Oul' Times, the Luke Kelly one has on the back of the box "I am part of what was Dublin, in the Rare Oul' Times" and the Ronnie Drew box reads "I remember Dublin City, in the Rare Oul' Times". Emmalene is a graphic designer and art teacher based in Dublin. 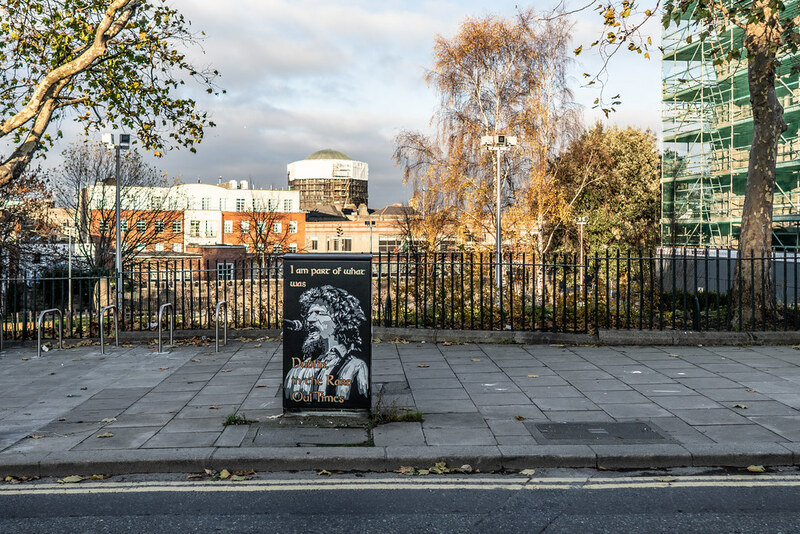 She graduated from DIT in 2012 with a degree in Fine Art, and has worked as a street artist and art teacher since then. Her artwork combines intricate stencilling and freehand spray painting. Emmalene painted at many events and festivals such as Waterford Walls, First Fortnight festival, The Beatyard, for campaigns such as Walls of Equality (Marriage Equality Referendum), and for companies such as RTE.